Over 60 prospective international students met the DePauw community at reception events on Jan. 6 in Ho Chi Minh City, Jan. 13 in Hanoi and Jan. 20 in Tokyo. 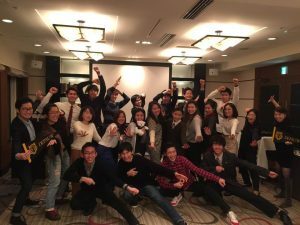 Students in Vietnam and Japan concerned with studying in the U.S. had the opportunity to talk with current DePauw students as well as local alumni. According to the organizer, Loutfi Jirari, the associate dean of academic life and director of international recruiting, they started holding banquets for admitted international students last year. This year, the reception grew in size due to DePauw’s rising popularity in East Asia as a study abroad destination. 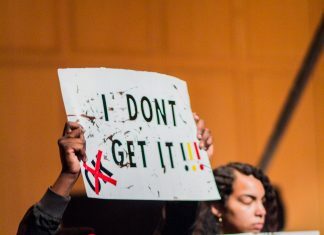 Although it is unclear how many of them regarded DePauw as their first choice, most high school students who RSVP’d to the events were already admitted through either Early Decision or Early Action applications. A liaison facilitator in Tokyo, sophomore Fumika Daimon, saw a few nervous faces in the crowd of prospective students at first. As they got to know the current students and alumni, they became more relaxed and even excited. Since campus visits are a less accessible option for them, Daimon emphasized the significance of hearing first-hand stories for the prospective students as well as their families. “One of the parents’ biggest concerns is what students do after they graduate as a career, so I believe it was helpful to listen to some alumni who are active in multiple fields,” Daimon said. One hundred and forty-one years after admitting the first students from Japan, DePauw committed to a policy that informs international students about the unprecedented presence abroad. The number of international student enrollment has risen by 55% since 2011, and now they constitute 15% of the Class of 2021, embracing 43 countries represented. Correspondingly, the recruitment campaign is extensive, not only organizing receptions but also meeting with high school representatives and students worldwide. “Our strategy is to recruit the best and brightest students from all over the world,” Jirari said, who has met more than 2,000 prospective students in over 30 countries this academic year. The international recruiting team has reached out to schools in Asia, South America, Middle East and Eastern Europe, including the novelties: Taiwan, Mongolia and Lebanon.